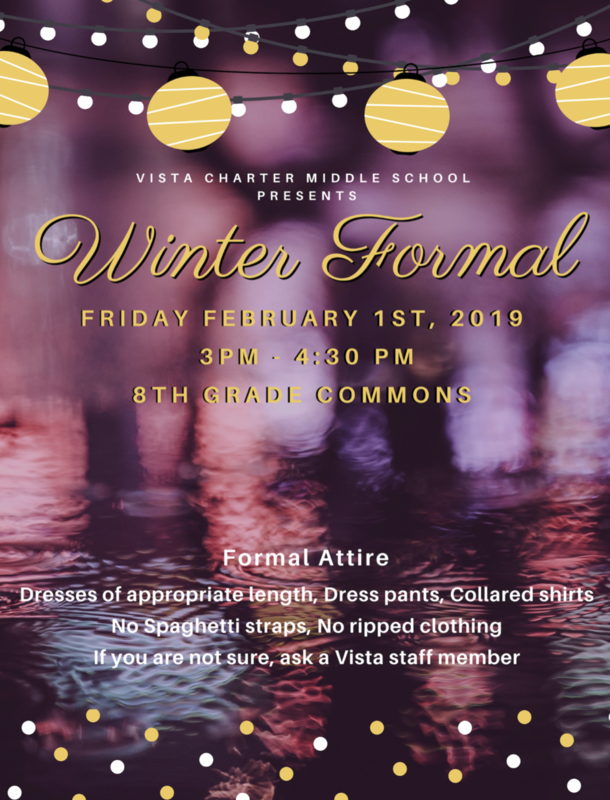 Vista's Winter Formal is this Friday! We are still accepting donations. Please drop off by Friday morning.